This slide features obstacles at the entrance before you ascend a rockwall climb which has been described as "awesome fun". This inflatable slide of fun stands 22' tall and is our fastest slide. 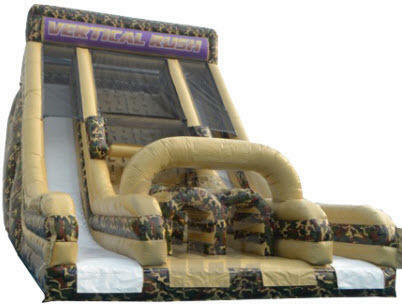 This slide would be excellent for school functions, company picnics, summer camps, or large group outings! All age groups love this massive inflatable.